Carolina Technology Consultants’ annual Retreat and IT Awards on October 22 brought together a couple hundred of UNC-Chapel Hill’s information technology professionals for a day of learning, networking, recognizing outstanding achievement and celebrating the 20th anniversary of the campus network. 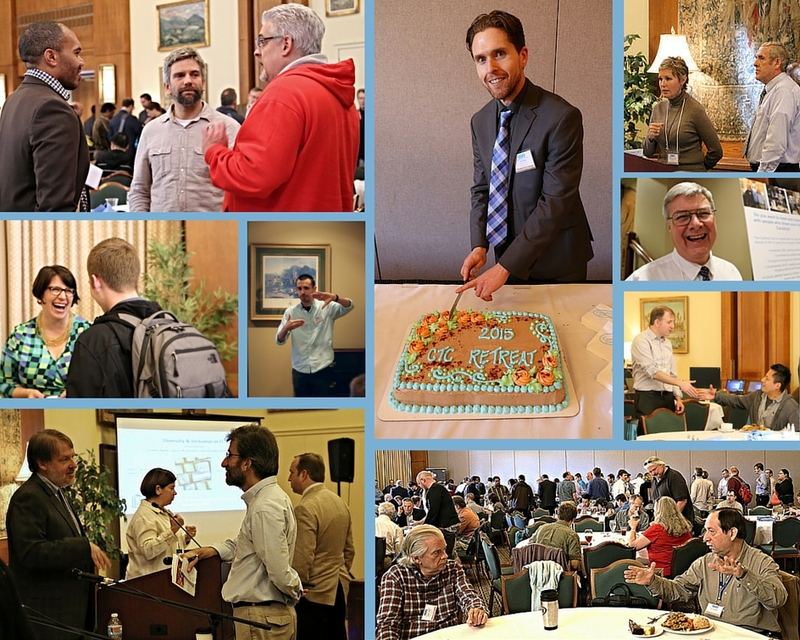 More than 260 people registered to attend the 2015 CTC Retreat at the Carolina Club, a slight increase over last year. 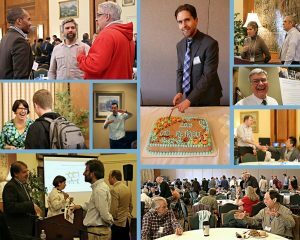 The conference informs Carolina’s IT professionals about new technologies and efforts from across the University and enables them to make new connections as well as to reconnect with people they may not encounter regularly on campus. The CTC Retreat featured keynote speaker Lori McLeese, Human Resources Lead at Automattic, opening remarks by Information Technology Services CIO Chris Kielt and a presentation about the history of the campus network by Jim Gogan, Assistant Vice Chancellor of Communication Technologies at ITS. Throughout the day, attendees also chose among three or four sessions during each of five breakout periods. “I have been overwhelmed by the positive response from this year’s Retreat,” said Clint Kale, CTC President. “Most people enjoyed the quick-paced format for this year, but a few would have enjoyed longer sessions and longer breaks.” Sessions had to be shorter to provide time for the anniversary celebration of the network. The two sessions that attracted the largest crowds were “Diversity & Inclusion in IT” panel and the “Office 365 – Where are we now? Where are we going” discussion presented by ITS’ two newest AVCs, Dennis Schmidt and Sandra Germenis. The “Diversity & Inclusion” drew well for a couple reasons, Kale said. “The IT community is becoming more and more aware of the need for different voices in our work environment. To get those voices heard, we need to learn how to open our ears,” he said. If you would like to provide CTC with feedback on the Retreat, please email Kale at clint_kale@unc.edu.